It’s no secret that the diving in Thailand is some of the best in the world. Every year, novice divers and experts alike descend on the heart of South East Asia, to make the most of the incredible dive sites and opportunities. From colourful coral reefs to eerie wrecks, the country boasts a dazzling array of dive locations. Within them, you’ll find diverse and dazzling marine life, from seahorses to whale sharks and everything in between. It’s no wonder that Thailand is a place many divers return to again and again. Plus, when not exploring the marine ecosystems, Thailand offers much to the off-duty diver. With glittering seas flanked by swathes of sand, bustling nightlife hotspots and divine cuisine, Thailand really is the ultimate location for a diving holiday. Hey there, just a quick note. There are some affiliate links in this post, meaning, at no additional cost to you, we will receive a commission if you book through one our recommendation links. Thank you for supporting our website in this way! The climate of Thailand is distinctly tropical, meaning you can enjoy warm temperatures all year-round. The best times for diving in Thailand vary depending on where you are planning on visiting, although it is possible to visit most sites all throughout the year. For the sites in the Andaman Sea, the rainy season runs between May and December, with particularly heavy rainfall (and the occasional monsoon) between June and October. Things dry out by January and the hot, dry season remains until April. Peak tourist season coincides with the dry season, and this is also generally considered the best time for diving. It is worth noting that Similan and Surin Islands are only open between October and May, although most other sites are accessible all year round. For those sites in the Gulf of Thailand, rainy season is shorter and later – between October and January. Heavy rains can temporarily affect visibility, but it remains a popular time with divers. May to August offers excellent conditions for diving, and there are a few less tourists than at peak tourist season between December and March. 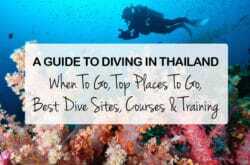 Everyone from absolute beginners to expert divers are sure to be dazzled by the selection of dive sites in Thailand. Here are some of the best. The Andaman Sea stretches down the west coast of Thailand, offering some of the country’s premier dive sites, and a number of exceptional marine parks. Widely considered one of the top ten dive sites in the world, Similan National Park is a playground for divers. Diving the nine Similan Islands allows you to see the best of what Thailand has to offer, in a relatively compact area and with excellent visibility. Here, you can expect to spot plenty of macrolife as well as giants of the sea such as Manta Rays and Whale Sharks. In particular, elephant head rock and Christmas point are teeming with marine life. The Surin Islands may not be quite as famous as their sibling the Similans, however they too boast spectacular opportunities for diving in Thailand. In particular, several sites offer the opportunity to spot sea life include blacktip reef sharks, manta rays and sea turtles. They are especially common around Koh Bon and Koh Tachai. In addition, the fabulous Richelieu rock is considered a hotspot for whale sharks, and one of the best dive sites in Thailand. The beautiful island of Koh Lanta does not have any dive sites itself, however its proximity to other top locations makes it very popular amongst divers. In particular, Hin Daeng and Hin Muang are considered two of the best dive sites in Thailand, with brightly-coloured coral and abundant marine life. Both do experience strong currents so are best suited to more experienced divers. Beautiful Koh Ha, on the other hand, has a range of fabulous dives that are accessible for all. The Emerald Cave is a particularly enchanting highlight. With many beautiful coral reefs and a variety of dive sites that are accessible for everyone, the Phi Phi Island diving is excellent – and very popular. The water is gloriously warm, and there are a variety of reefs, pinnacles, underwater caves and drop-offs to explore. The number of sites that are ideal for beginners means that Phi Phi Island is a good choice for getting your certification, or if you’re still building confidence. One of the most famous dive sites in the world, Phuket’s big reputation is well-deserved. From the island, there are many excellent sites for diving in Thailand. Close to the island, there are a number of interesting spots including the wreck the King Cruiser, a ferry that sunk in 1997. As well as admiring the wreck itself, it’s a habitat for marine life including scorpion fish and yellowtail barracudas. Racha Noi and Racha Yai are also excellent dive sites where, if you’re lucky, you can spot manta rays and sea turtles. 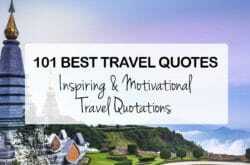 Phuket is also a good base for exploring other, further out sites. Out from the east coast lies the Gulf of Thailand. It also offers a number of high quality dive sites which are suitable for divers of all experience levels. Koh Tao is an excellent location for diving in Thailand, and one of the best places to get your certification. There’s an abundance of quality dive sites that are suitable for all experience levels and interests. Chumphon Pinnacle features intriguing undersea rock formations and ledges, the World War II vessel HTMS Sattakut is one of Thailand’s premier wrecks, and then there’s Shark Island with its incredible abundance of marine life. Sharks can often be spotted in the southwest, especially in April and May. Although Koh Samui is a popular base for divers, there are limited sites nearby. Instead, most divers head out from Samui to nearby Koh Tao or Sail Rock, which is a haven for marine life protruding out of the waters near Koh Tao. Thailand has a well-deserved reputation as a playground for divers. With excellent year-round conditions and dazzling variety, it’s no surprise. Diving in Thailand for the first time can be jaw-dropping thanks to the abundance of marine life found in both the Andaman Sea and Gulf of Thailand. Fish species including angelfish, trumpetfish, scorpionfish and lionfish are plentiful, while predators such as barracuda and tuna treat many of the sites like an all-you-can-eat buffet. Other unique sea creatures including sea snakes, manta rays, seahorses and sea turtles are also common in many of the dive sites. As well as manta rays, perhaps the #1 “must see” for divers in Thailand is the various species of shark. It’s certainly an incredible experience to swim with these grand predators of the sea. The largest of the sharks in Thailand is the graceful whale shark, while reef sharks and leopard sharks are also commonly spotted. Thailand also boasts a stunning array of coral in just about every colour imaginable, as well as unique undersea features including tunnels, sea caves, pinnacles, swim-throughs and shelves. In addition, there are a number of fascinating wrecks from the last century to explore. All in all, the question “what can’t you see?” is perhaps more apt for Thailand’s incredible dive sites. Given the quality and popularity of diving in Thailand, there is no shortage of dive centres and schools in the country. Whether you’re a total novice or a seasoned pro, you are bound to find many suitable options in Thailand. Thailand is a particularly popular place to learn to dive, with an abundance of sites that are ideal for novices as well as high-quality instructors and diving courses. There are many options, but in particular Koh Tao is a popular place for obtaining your PADI certification. In fact, the numbers PADI accreditations obtained in Koh Tao is second only to Queensland, Australia. There are many excellent dive centres all over Thailand, and particularly in hotspots such as Koh Samui, Koh Tao, Koh Phi Phi and Phuket. These dive centres can organise day trips out to Thailand’s best dive sites, and cater their excursions to divers of all abilities. One of the best ways to experience the magnificent diving in Thailand is via a liveaboard trip. This will allow you to visit the sites that are further out, and enjoy more dives away from the crowds. A number of sites – including the incredible Similan Islands – can only be accessed by liveaboard. The options for liveaboard diving trips in Thailand are plentiful, with options to suit all different budgets, experience levels and timeframes. Plus, liveaboard trips in Thailand generally offer excellent value for money and a high-quality experience both onboard, and in the water. To book your liveaboard trip in Thailand, we recommend Liveaboard.com. Diving in Thailand has an incredible reputation – that it’s sure to live up to. 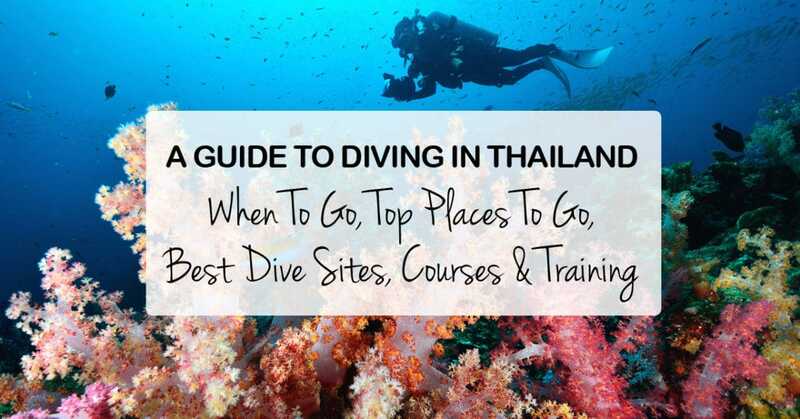 Whether you’re looking to get your certification and begin diving, or head out for the advanced diving trip of a lifetime, there are almost endless options for diving in Thailand.